Ho Chi Minh City University of Technology and Education is a distinct one. This is the first university to train technical teachers, the leading university in the national Technical Education system, with a long history and formation and development. Prior to the national reunification, Technical Education schools existed only in South Vietnam. Following the liberation, the need for technically skilled workers and scientific and engineering officers became extremely urgent. The state hurriedly organized, arranged, took over, and restored the operation of colleges and universities in the newly liberated South, creating the novice Technical Education system of our country. 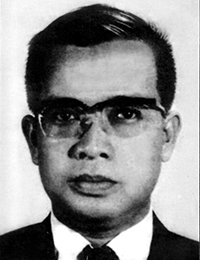 The predecessor of HCMC University of Technology and Education, which was born into the former South regime, continued to develop in the new government. Over its evolution HCMUTE has been upgraded and merged with other schools; thus, our University has been renamed multiple times. The predecessor of UTE is the Technical Education College Department subordinate to the Phu Tho School of Technology, established on October 5th, 1962, in accordance with Decision No. 1082/GD of the Republic of Vietnam in South Vietnam. The Technical Education College Department was on the campus of the Phu Tho School of Technology, now HCMC University of Technology. In 1969 the new campus of the Department was constructed on an area of 10 ha in Thu Duc. This campus was sponsored by the U.S. with the majority of the teaching staff having been trained in America with spacious and well-equipped houses, workshops, and classrooms to fulfill the duties of training approximately 500 students. 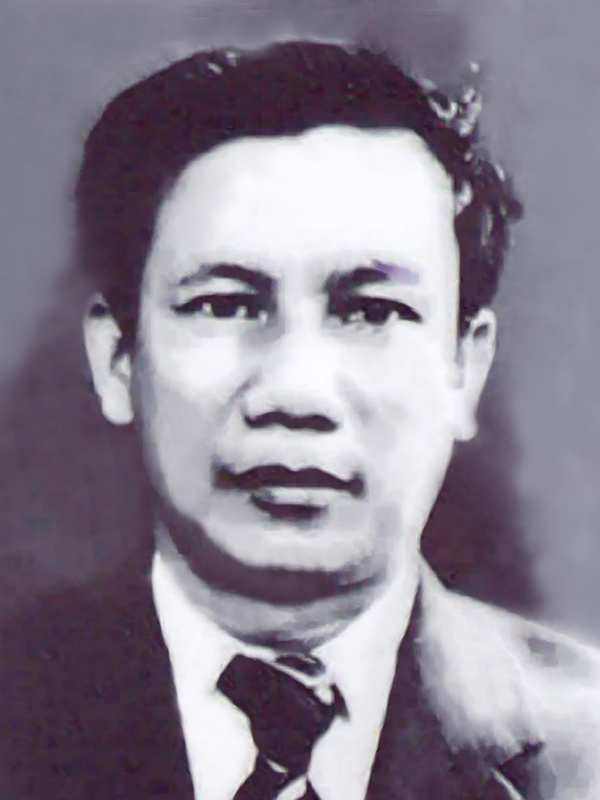 In 1972 the Department was renamed Nguyen Truong To Technical Education College Center of Thu Duc, the first academic year 1972-1973 commenced on the Thu Duc campus. In 1974 the Center was upgraded to Thu Duc Education University within Thu Duc University Institute of Technology. In 1984 the school was renamed Ho Chi Minh City University of Technology and Education after emerging with the adjacent Thu Duc Industrial High School. In 1991 the school merged with Technical Education School V sponsored by the USSR. In 1995 the school became an unofficial member of the National University, Ho Chi Minh City. In 1997 the school took over the Vietnam-Korea Vocational Training Center with an area 4.5 ha in District 9, now Practical Technical High School within Ho Chi Minh City University of Technology and Education. In 2000 the school separated from the National University under the Ministry of Education and Training, and our school’s name was restored and has been HCMC University of Technology and Education since. In 1962 the Technical Education College Department was established. The Department initially offered training in four majors: Applied Sciences, Profession (Automobile, Electricity, Machine Manufacturing, Cast, Woodworking, Pottery, Lacquer, etc. ), Graphic Arts, Commerce, Home Economics. The first academic year was 1962-1963. The Department trained nine batches, and the number of students from the first to the ninth batches were 445. In 1972 the Department moved to the new campus in Thu Duc and was renamed Nguyen Truong To Technical Education College Center of Thu Duc. The inauguration ceremony for the new campus was held on May 4th, 1973, and the first school year commencement day here was November 12th, 1973. The duty of the Center was to train middle school teachers (vocational teachers), two years’ duration, and high school teachers (technical teachers), four years’ duration. The first batch of 1972-1973 at the Center included the following departments: Applied Sciences, Apparatus Machines, Automobile and Diesel Mechanics, Iron Engineering, Graphic Arts, Home Economics, Woodwork, Pottery, Electrical Engineering, Electronic Engineering with a total of 120 students. At the Technical Education College Center, 177 students graduated in the 10th and 11th. 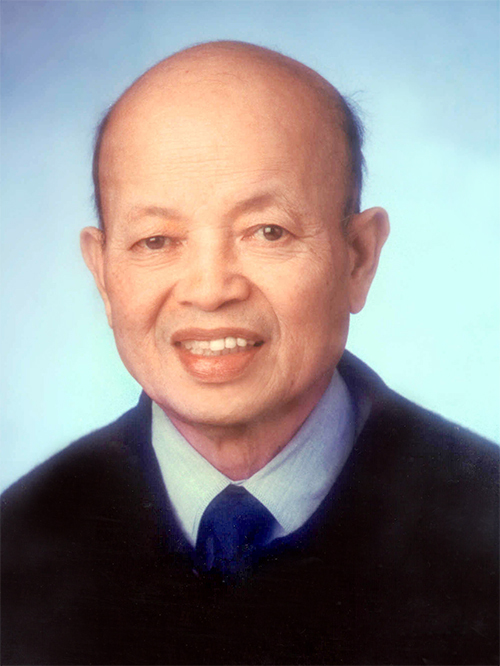 was the first Director of the Nguyen Truong To Technical Education College Center of Thu Duc. + 486 technical middle school teachers. In January of 1974 Thu Duc University Institute of Technology was established, and the Technical Education College Center was upgraded to Education University subordinate to Thu Duc University Institute of Technology. At the time the Center had approximately 500 students 70 teachers, only 14 of whom were official teachers, the others were visiting ones. The leadership since the formation of our school together with all officers and staff were the trailblazers who laid the foundation and enlightened the national education. The Education University had worked for little more than a year when the South was liberated. Our school quickly integrated into the education of the unified Vietnam. Since then, our university entered a new era, one with drastic changes in both scale and quality. Upon the takeover following liberation, although the school was still intact, the scale was small, classrooms, workshops, machines, and equipment were still limited, and professions for training were few. The number of officers from before liberation stayed with the school was about 30, the number of students from the old batches were about 500, and newly added officers were faced with many difficulties. Managerial officers, teaching officers, and staff members were quickly built from many sources: civil officers taking over the school, civil officers from the North, demobilized soldiers, officers from the former Republic of Vietnam who stayed. The team of civil officers had fewer than 100 people then. Many officers and hundreds of students of the Education University quickly integrated into the activities of the University of Technical Education. 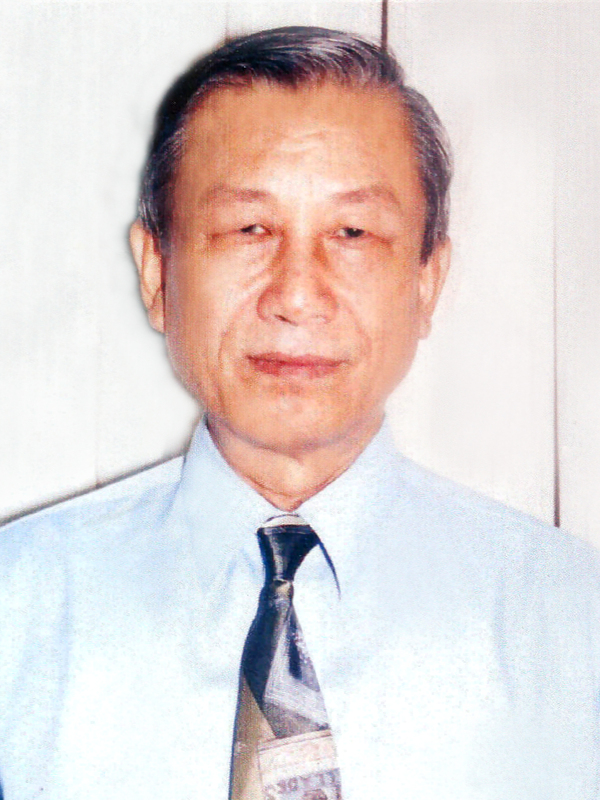 Many pivotal people of the Education University such as Mr. Ngo Dinh Duyen, Le Dinh Vien, etc. dedicated themselves to the school until their retirement. 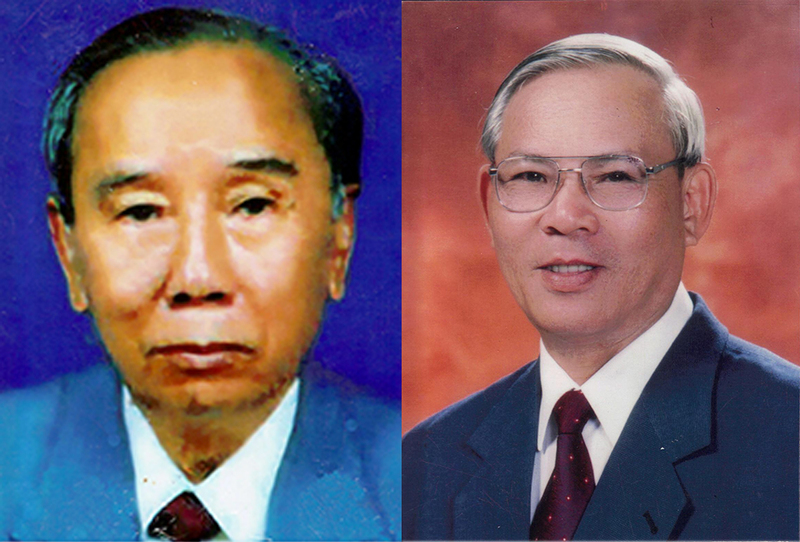 Many were trusted with responsibilities such as Vice President Do Thanh Long, Head and Deputy Heads of offices and faculties, namely Mr. Le Dinh Vien, Mr. Phan Van Dao, etc. Especially, thanks to their enormous contribution, Mr. Le Dinh Vien and Mr. Phan Van Dao were awarded the title of Meritous Teacher. 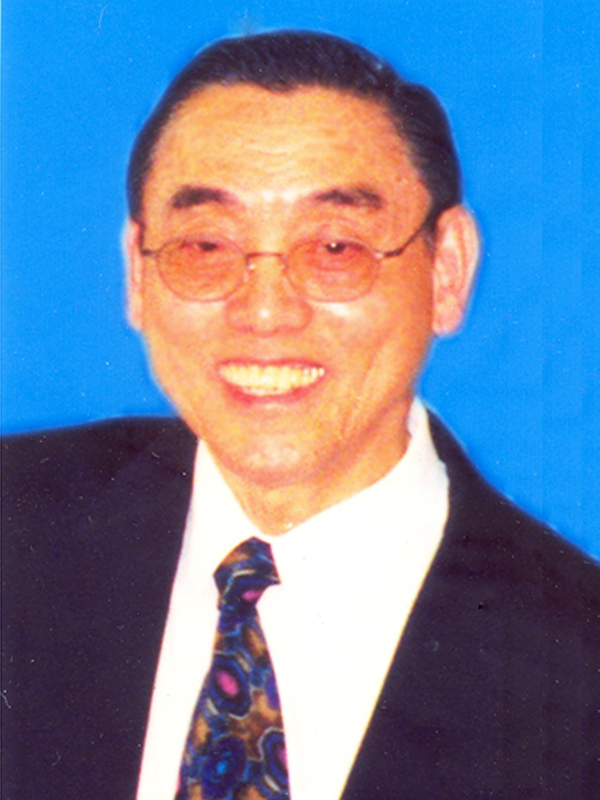 The first President was Prof. Dr. Nguyen Xuan Tai. 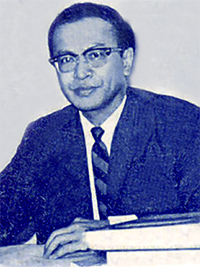 Prof. Dr. Nguyen Ngoc Can was the President from 1978. In the first admission and subsequent ones, owing to inadequate facilities to guarantee training quality, the majors of Printing and Handicraft were temporarily halted. Other majors were also rearranged to follow the new duties of training education engineers, four years’ duration for the majors of general engineering and five years’ duration for other ones. In the academic year 1987-1988 the University created the major of Printing Engineering. The structure of the programs also followed the convention: Fundamental Sciences, Fundamental Engineering, Specialized Engineering, Vocational Practice, Teaching Theory and Practice. Little did the number of majors and the scale of admission change during this time. In this period graduate students needed to have technical knowledge at engineer-level, practical skills of 3/7, and level-2 pedagogical knowledge, the most demanding requirement of which was 3/7 practical skill for general students. To overcome this obstacle, from 1978 the University created crash courses admitting students from intermediate technicians and technicians having graduated from Thu Duc Industrial High School in three years’ duration. In January, 1984, to improve practical skills and perfect the educational system, the Ministry of University and Vocation High School decided to merge Thu Duc Industrial High School and the University of Technology and Education. The university’s duties were expanded to training vocational technician and education engineer. + Phase 2: About 50% of good students having finished phase 1 would be chosen for further training in phase 2 three years’ duration (later shortend to 2.5 years). The predecessor of the Vietnam-Germany Technical High School was the Vietnam-Germany Technical Department established in 1959 within Cao Thang Technical School. In 1965 with the sponsorship of the Federal Republic of Germany, the Thu Duc campus was constructed. In 1967 the new campus was inaugurated, and the Vietnam-Germany Technical High School was set up. The School had an area of 7 ha adjacent to the University of Technical Education. Of all 27 technical high schools in South Vietnam before 1975, the Vietnam-Germany Technical High School was the only to offer vocational training in the German style, with the best practice facilities, very systematic training and the best discipline. Each year the School only admitted 140 students who had finished ninth grade, training six majors: General Mechanics, Bench Mechanics, Automobile Mechanics, Electrical Engineering, Iron Engineering, Woodworking. From its creation to 1975 the School trained more than 1,000 workers and junior staff members, highly trusted and reputable in society. In 1975 the school merged with the Education University and then obtained two more new majors from the Model High School, Graphic Art and Women’s Housework. At the time the school had 575 students and 89 officers and civil workers, including many teacher who had trained in Germany. In August of 1977 the school separated from the University of Technology and Education and was renamed Thu Duc Industrial High School. The school added the training system for high school graduates and, together with the University of Technology and Education opened the university crash courses for students who had finished vocational high school. From 1975 to 1984 more than 2,500 technical intermediate workers graduated, contributing to the work force supply for the industrial development in the South. In 1984 the school merged with the University of Technology and Education. Not succumbing to hardship and privation, the University boldly organized labor and production right at school. The calcium carbide manufacturing workshop was set up, and later production of ice, ice-cream, fermented beer, designing, installing alcohol towers, and producing alcohol, manufacturing oil extractors, iron-based alloy; repairing weaving machines. 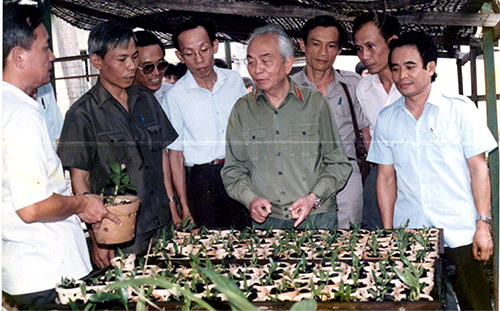 In 1985 the University was reported to be a distinguished example the South in terms of ơn-campus production and on this occasion General Võ Nguyên Giáp, Minister of University and Vocational High School Trần Hồng Quân visited UTE, observing the orchid culture garden, in vitro, alginat extract, and encouraged the our school’s production movement, and on this occasion General Vo Nguyen Giap, Minister or University and Vocational High School Tran Hong Quan visited UTE, observing the orchid culture garden in vitro, alginat extract, and encouraged the our school's production movement. Thanks to significant initial accomplishments and relentless endeavor of the collective of officers and staff, our University was awarded the Third-class Labor Order in 1985. In support of the state’s policy for education socialization, in 1988, the part-time training mode, then called expanding mode, was born. 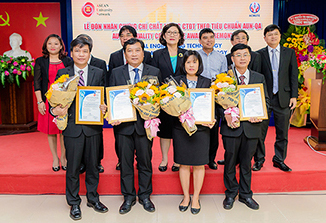 Many centers for part-time training that were created in HCMC and other provinces garnered a prevalent support of learners. Aside from the goal of creating opportunities for young people to study, teachers also had the working conditions appropriate to their expertise, gradually discarding unsuitable production activities, and the school tapped further sources to upgrade the facilities. Taking advantage of the variety of training levels of the school, UTE commenced a new training mode of admitting vocational school graduates with vocational skills of 3/7 to train them further at the university level, initiating the bridging training mode. This mode of training was previously called N, later K; the first academic year was 1993-1994. 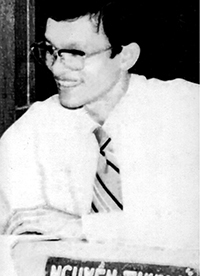 In October 1992 Dr.Tran Thanh Long was appointed President of UTE, the school’s organization became more stable and fortified. In the meantime, the Centers of Information Technology (1990), Foreign Languages (1992), General Engineering (1993), and Culture Cultivation and Test Preparation were respectively established. These center works effectively and still continues to this day. With sponsor ship from the USSR, in 1983, Technical Education School V was constructed in 1986. The school had the duties of training technical workers of 3/7 skills and vocational teachers with four majors: Mechanized Agriculture, Mechanical Engineering, Industrial Electricity, Car and Motorcycle Repair. In November 1987 the first admission with 100 students. In 1988 admission with 180 students. In 1989 admission with 280 students. In 1990 admission with 320 students. The team of officers and civil workers as of 1991 was 87 people. 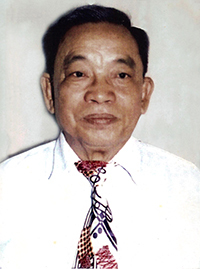 Mr. Kieu Tuan was the school’s President in the period 1987-1991. In August 1991 the Ministry of Education and Training decided to merge Technical Education School V and some other campuses with our university. At the time HCMUTE was organized into 10 faculties, 12 majors with 4 training levels of workers, college, university, and postgraduate on 3 different different campuses. Although for a long time the professions trained at our school hardly changed, the modes and methodology of training had changed radically and become more diverse. The University boldly reformed, determinedly and radically experimented in terms of training scale, system, especially in mode of training. In 1986, the University had 6 faculties, 10 offices, and 27 departments. The total number of students were 3,000. The school has four modes of training: long-term, part-time, crash course, and technical education training. Still the nice traditional majors from 1976 until then: electrical engineering, industrial electricity, mechanical engineering, design drawing, machine manufacturing, mechanics, automotive engineering, agricultural engineering, and women’s work. In 1987 the major of printing engineering was added. In the academic year 1986-1989 UTE began to implement the new training procedure based on the maxim: “Diversify training formats and build focused long-term university education to be standard system for other modes of training.” The school concentrated on the goal of training vocational technical teachers as well as researched the labor market and learners’ ability so as to create appropriate educational products. The distinctive feature of this period was that the training course was divided into two phases: 3.5 years + 1.5 years. After many years of research and experimentation on the two-phase training model, in 1988 UTE made a decision to train with two complete phases. After each phase the student had a title, job so that they can leave school and start work. Phase 1 trained college-level advanced technicians; phase 2 trained educational engineer. During this time our University had three training modes: full-time, crash course, and extension. The full-time mode had three levels: university, pre-university, and postgraduate. The pre-university level trained 3/7 technical workers, 1.5 years’ time duration for high school graduates. Technical education college, 3.5 years, 4/7 skills, conferring degree of vocational teaching engineer. Upon completion of phase I, the graduates could work or take the entrance examination to go on with phase II of studying. Phase II lasted 2 years for practical engineer, 2.5 years for vocational teaching engineer to become educational engineer. Postgraduate: in 1992 the University opened the first master’s class with two years’ duration. As of 1996 master’s courses were available for five majors. The crash course was for those who had graduated from UTE’s Phase I, Technical Education Colleges, and Vocational High School with two years’ duration and conferred degree of Educational Engineer. The training time for intermediate technician was three years. In order to meet society’s need for below-university majors appropriate to the policy of training human resources and people’s knowledge, from 1988-1989 our university added the college level and offered courses in 6 majors at this level. Extension program was aimed at expanding vocational training and improve people’s knowledge. In 1988 the University established Nonofficial University and Vocational Education Center to manage 8 extention training centers. In 1995 the extension program ceased its operation, and the school switched to part-time programs in local jurisdiction. HCMUTE was the first school to propose bridging training and the first to implement this training mode in 1993. In 1990 our university had about 4,000 students, approximately 1,500 of whom were full-time one and 2500 extension students. From the mid-1980s UTE had proactively recovered former collaborative relations with the U.S. and FRG. After several years of persistent reconnection, the project of the Center for training vocational teachers supported by the RFG for 5 million USD (phase 1) was signed. In the early 1993 the construction of the Vietnam-Germany Center was started. The Center commenced the first school year in 1994-1995 and have been operating very effectively to this day. Our University maintained good relations with the Consulate Generals of the USSR, RFG, Hungaria, France, etc., continued the relations with ENS-Cachan of France. Many members of the teaching staff were trained in France, Germany and worked on their doctorate in USSR. In 1986 the total number of officers and civil workers were 433, 219 of whom were members of the teaching staff. In 1991 our University received the work force from Technical Education School V, and at the time we had 491 employees; in 1992, however, our school had to downsize by 20%. Of 491 people, there were 273 members of the teaching staff. Off all the teaching staff, there were 5 associate professors, 31 Principal lecturers, and 118 Lecturers. In 1996 improvements were made. Of 215 members of the teaching staff, there were 10 Associate professor, 19 Doctors, 41 Masters, and 23 people working on their master’s in out side of the country. In 20 years (1976-1996) our University regularly held competitive movements and maintained the operation of the Good Teaching Department and the titles of teaching well for many years on end. Active, creative, dare to think and do, UTE was the first place to initiate the on-campus production movement, the first to implement extension training program, the first to propose and conduct bridging training between different levels of study. Thanks to the aforementioned significant achievements, in October 1996 UTE was awarded the Second-class Labor Order on the occasion of the the University’s 20th establishment anniversary (1976-1996). In the ten years of the national reforms, UTE went through many upheavels and changes and attained tremendous achievements, which was a solid foundation for extraordinary advancement in the period of 1996-2006. Production activities came to an end, and all was focused on raising training quality, research, and technology transfer. In the early 1995 a momentous event unfolded for the University. Decree 16 of the Government on the creation of the National University, HCMC, included ten universities in HCMC, one of which was HCMUTE. Despite being one of the entry universities, our school still had not been identified in terms of organization in the National University. Faced with the risk of losing the university and its name after years of development, on the one hand, the school’s leadership persistently requested and reported; on the other, our University seized the chance to push UTE to a new level with the guideline: “Collectively strive, affirm the necessary existence of the School by completing and excellently completing all task. In October 2010 our University was returned to be subordinate to the Ministry of Education and Training. The university’s name was restored ; the teaching staff from the General University came back to UTE ; Technical Education V Campus was transferred to the National University. All activities were resumed with a renewed energy and have developed substantially ever since. Throughout 50 years, especially 37 years after the Liberation Day, the University’s determination was: Training quality must always be guaranteed against all odds, steadily affirming the role and position of UTE. Ensuring and raising training quality step by step was the constant objective, influencing all UTE’s policies and activities through different stages of development and Presidential terms. In the age of reforms, training tasks had many fundamental and lively changes with regard to majors, training levels, mode and scope of training, admission scale. Especially, our University has offered training in accordance with academic credits since 1995 and training with a technology orientation since 2004. The proportion of fair and good students increased gradually through the years. Over 90% of UTE graduates found jobs and promote the effectiveness in their work. In the period 1986-1996 HCMUTE had 7 faculties, 10 majors, 4 levels, and 4 modes of training. From 1996 to 2006 our University had 12 faculties, 24 majors, 5 levels, 4 modes, and 4 formats of training. Training full-time, part-time, bridging, and vocational. In five years (2000-2005) research made some drastic breakthroughs. Large numbers of students undertook research with growing quantity and effectiveness, notably the accomplishment of the Eureka prize of HCMC Youth Union and three third prizes at Robocon contest for students nationwide. The total number of research projects in five years were 884: 65 projects at State level, Ministry level, city-level ; 352 school-level ones, and 423 student research projects. HCMUTE continued effective multilateral relations with educational and research institutions in the country and abroad. The Vietnam-Germany Center was ranked the most effective of all projects which Germany sponsored in Vietnam; as a result, phase II of the project was resumed with a total price of nearly 2.5 million USD. Equipment was fortified, and many University staff members were sent to attend numerous training courses in Germany. Projects for training masters in collaboration with Madgeburg University in Germany, project for training bachelors of Garmant Technology and Fashion Design with Heriot Watt University, training Electrical and Electronic Engineers with Sunderland University of the U.K., projects in cooperation with businesses such as Siemens, MTZ, Omron, etc were distinguished success out of hundreds of projects and collaborative relations with many countries. Besides, our university also joined forces in training, research, Technical Education exchange with almost 20 universities over the world such as Cachan Technical Education University in France, Tianjin Technical Education University—China, Yeungnam University—South Korea, etc. UTE facilities were slow to be upgraded and newly equipped for quite a long time. Our University saved, accumulated, and utilized all sources to invest in practice equipment, laboratories, and IT application. In the period 1996 – 2006 the school’s training and research units developed dramatically, increasing the capacity to offer pre-university education. Those were the Vietnam-Germany Center built in 2004 and the Practical Technical High School set up in 2004 on the basis of Vietnam-Korea Vocational School. In spite of all challenges, as of 2006 UTE added two five-floor study buildings, a four-floor dormitory for students, a cafeteria. The library with 15,600 book titles and over 100.000 copies, 200 newspaper and journal titles, reaching 115 book titles for each major. UTE had 72 practical workshops (area 12,800 m2), 20 laboratories (2.000 m2); more than 1,000 high-speed internet-connect computers; 100 classrooms; 1 large stadium, etc. on green, clean, and beautiful premises as large as 22 ha. In 2003 the Institute of Vocational Research and Development was established. This was the place for studies into teaching, especially technical teaching and new technical application in training. In 2004, the Center for Research and Technology Transfer was established. Cooperating with trading and manufacturing in the country to supplement the force for training affirmed an effective orientation with plenty of laboratories sponsored by Benz, Siemens, Toyota Vietnam, Omron, GE, etc. In 1976, 238 staff members (9 lecturers holding Ph.D.) accommodated learning needs of 1000 students in 8 different fields. In 1996, learning needs of 9800 students in 11 different fields were fulfilled by 407 staff members. In 2001, the university staff consisted of 370 members including 25 associate professors holding Ph.D., 128 senior lecturers holding Master degree and 112 lecturers. At this time, the number of students mounted to 16.500 in 16 different fields in 15 different locations. Strongly aware of the importance of teaching staff in training quality, the university had held regular Young Lecturer Conference in order to encourage professional development of its staff. Thanks to these conferences, many practical solutions for better training quality and stronger quality management had been implemented. As a result, quality of training had been dramatically improved. Besides, appropriate recruitment policy and university autonomy had been contributing to the development of university staff. In 2006, the university staff totaled 600 including 400 lecturers . 50 % of the lecturers have postgraduate qualifications. During this time, there were 19.000 students studying in 24 different fields. The university had conferred certificates and granted degrees to 300 Masters, 27.500 educational engineers, 3.500 college degrees and 2000 skilled workers. Besides, the university had provides courses in Teaching Methodology Level I and II to 4000 students and short courses to 3500 vocational teachers. According to the survey carried out by Education Project, 93.32 % of graduates were employed and 85% of the employers were satisfied with the graduate’s performance. In 2006, the university staff members total 600 consisting of 400 lecturers. 50% of the lecturers hold postgraduate degree, 30% of the lecturers were doctoral candidates or pursuing postgraduate degree in the country and overseas. The university was eager to shift its training programs toward technological fields. The training curriculum was adjusted to credit-based program and managed by ISO 9001:2000 standard. Especially, the university had pioneered research and implementation of information technology in teaching and university management, as well as improving its structure dramatically. The staff worked strongly together as a team for the development of the university. Living standards and quality of life of students and staff had also been increased significantly. – The University has been awarded an a Labor Decoration - First Class (2001), a Labor Decoration - Second Class (1996), a Labor Decoration - Third Class (1985) by the SRV President. – The University’s Communist Party Committee has been recognized as “Righteous, Strong and Excellent CPC” for 11 consecutive years (1995-2005). The University’s Trade Union has been granted a Labor Decoration - Second Class (2005) and a Labor Decoration - Third Class (2000) by the SRV President, a flag of merit entitled “Strong and Excellent Trade Union Unit” by Vietnam Education Trade Union and HCMC Labor Union for 12 consecutive years. The University’s Communist Youth League has been awarded a Labor Decoration - Third Class (2004) by the SRV President. The Communist Youth League and Student Association have been recognized as excellent units in the higher education sector for many years running. This period witnessed a comprehensive and strong development of the university through significantly innovative changes. These changes included learning outcomes announcement, training quality enhancement, improvement in human resources and managemen system. From 2007 to 2017, the university had granted 2204 Master degrees, 38.676 engineer degrees and bachelor degrees (13.977 of which were obtained from part-time courses)and 4.090 college degree. Besides, the university has provided courses and conferred pedagogy certificates to 16.243 people, national certifcate of proficieny in applied informatics at elementary and intermediate level to 100.000 people, and certificate of language proficiency to 20.000 people. Also, it provides courses for hundreds of young teachers and lecturers nationwide. HCMUTE has been the 1st university in Vietnam to announce learning outcomes for all of its training program as well as guaranteeing quality of its graduates. HCMUTE has also pioneered CDIO implementation – a modern teaching framework adopted by many large universities in the world. The university has innovated teaching methods toward more focus on English, IT and soft skills learning. As a result, student’s English capacity as well as employers’ feedback have been improved. The period 2016-2017 witnessed a milestone development of high quality faculty with the new openings of 5 training programs in 2016 and 10 ones in 2017. Many new high quality training programs are going to be implemented in a forseeable future. This is an indication of HCMUTE’s strategies in attracting exchange students. With a strong focus on technology application, the university has invested one million dollars to improve its IT infrastructure. Since 2008, online course enrolment has been implemented, which helps to save students’ time and maximize management. The year 2015 witnessed an innovation in teaching methodology with the implementation of digital teaching room and LMS system. This reform has helped students and lectures to get exposed to online learning and blended learning. By applying these innovations, the university’s international integration has been drammatically increased. Currently, the unversity offers 30 ordinary training programs, 27 high quality programs in English and Vietnamese, 44 part-time programs, 13 Master degree programs and 6 doctoral programs. As chosen by the MOET to carry out soft launch of corporate specialized courses, HCMUTE is the first university to hold employers conference for providing customized courses based on enterprises’ demands. Thanks to the establishment of Enterprise Relations Office, cooperation between the university and enterprises has been significantly triggered, which resulting in more successful job applications after graduation. Quality assurance activities has started to be conducted properly and upgraded to international standards. In 2017, 4 training programs has been certified with AUN-QA standards, 3 programs are in the process of certification and 2 programs are going to be evaluated using ABET ( the US standards ). This certification achievement has paved the way for students to compete in Asean and international job market. The university continues to receive high rating from quality inspection conducted by the MoET, which demonstrates the university’s endeavor in innovating its management. According to the satistics of the academic year 2016-2017, 95% of graduates succeeded in job application after graduation, and 49% had job before graduation. In the period 2000-2017, the university conducted 4.034 scientific research including 2 government-level research projects, 6 government-level research projects funded by Nafosted, 165 Ministry/City research projects, 2.213 university-level research projects, 1.648 student-level research projects. A large number of technological products, especially new teaching models, has been transferred to educational materials enterprises. Some of these products are student works resulted from project-based learning. Research activities have been upgraded significantly with a fast increase in the number of publish research papers and projects. Numerous technological products made by students and lecturers have been highly appreciated by the society. We won many awards/medals in Vietnam Science-Technology Contests and Creative Technical Products HCMC. Scientific products such as “Fish” Robot, “Traffic” Robot, Robot for detecting and processing garbage in underground drain, “Reception” Robot won many awards at many level contests. In 2011, the university team has the first prize in solar car racing held by Department of Science and Technology Ho Chi Minh City. In two consecutive years, our energy-saving car team ranked 3rd in 2011 and 2nd in 2012 when competing with 40 other universities and colleges in Honda Ecomileage Chalenge. High quality technology contests such as Robot Maze, Basketball Robot, Robot Hand and Dancing Robot has been received great attention from the community. In 2017, YSEALI Creativity Contest under the theme of world food resource welcomed 200 teams from 9 ASEAN countries. 35 teams were from Vietnam. Two teams from HCMUTE, namely “ Cactus SPKT” and “Nothing Impossible”, made top ten list and semi-final round. We have been hosting high quality domestic and international events and conferences which normally receive great attention and participation from the scientific community. A good example of this are “Green Technology and Stable Development Conference”, “ICSSE Conference – 2017’’, “ 13th IETEC Conference”. Thanks to the high creditability and quality of training, the university, together with other 4 top technical universities in Vietnam, has been chosen to be a part of HEEAP (Higher Engineering Education Alliance Program) with Arizona University funded by Intel and USAID. The university annually sends its staff to universities in the US, Germany, Korea, Australia, etc... for further training. The university has welcomed delegates from international universities and organizations including visit from The Consulate General of the United States in Ho Chi Minh City in 2011 and 2017, and a visit from United States Deputy Secretary of Commerce in 2011. Especially, in 1/2017, HCMUTE had the honor to welcome United States Secretary of States John Kerry before the end of his terms. Our students and staff had a valuable chance to talk and learn from him. HCMUTE supermarket accouting for a total area of 2.000m2 has been operating since 01/09/2009, which has contributed significantly to meet students’daily needs. A 8-floor building and practice factory F, together with electric generator house, underground reservoir and septic tank, has started its operation since 15/2/2017 with a total floor area of 8.560m2 . The total cost was 106.188.102.000 dongs, 63.747.000.000 of which was funded by the governemnt. 83-billion-dong Student Dormitory D ,funded through government bonds, providing a space of 15.000m2 is able to accommodate 1800 living spaces. The dormitory was constructed on 24/11/2009 and began its operation on 29/04/2014. Every year, the university invests approximately 25-30 billion dongs in new modern equipment for training and research purposes, which is an effort of matching practical demands from the society and business sector. Applying financial autonomy in the unversity managment, the annual revenue increases by 30%-35%. As a result, avarage monthly salary of each staff member increased from 7.5 million dongs per month in 2009 to 9.1 million dongs per month in 2010 and 11 million dongs per month in 2016. Inside the university campus there lies green grass and tree landscape featuring a healthy and green academic enviroment. Beneath 17 hectares of trees are numerous park benches and tables for students to study and relax. It is such an ideal and impressive environment which very few universitites in Vietnam possesses. In the midst of all the fundamental innovation taking place within the university, student life is not an exception. Practical policy and actions has been executed in the hope of improving all aspects of student life. In 2013, student services center was found, aiming to provide students with part-time job hunting, soft skills course, and other helpful learning activities. In 2007, the establishment of UTE Compassion Corner , under the motto “The good leaves protect the worn-out leaves”, has offered free food, books and clothes which are given by sponsors. This corner is also a place for books and learning tools swap. The university has also put greater effort into community work and social responsibility by holding many charity events to help natural disaster victims. HCMUTE has become a role model and been highly appreciated by the education sector thanks to its strong and early focus on communication activities. Since the implementation of the variety of PR and digital marketing tools, the university branding has increased significantly. HCMUTE is the first university in Vietnam to conduct online university news channel, which marked the breakthrough in the university communications. These branding activities have resulted in increasing entrance-to-university standards in terms of score and make HCMUTE major players in technical training in the country. + Developing training programs towards creativity and diversity, aiming to become a center of creativity in Vietnam and regions. + Language of instruction in some programs is English, which helps to students to meet market demand. + Building central laboratories to become a research hub in regions. 86,14% of staff hold postgraduate degree, 26,55% of staff hold doctoral degree. + Short course: 1.500 people per year. + Doctoral study: 8 programs. + Master study: 23 programs. + Undergraduate study: 42 programs. + Science and Training Council. Education and teacher training: 10,33%. Computer science and IT: 6,07%. Hospitality, Tourism and Service: 0,77%. - Certificate of Excellence in 5 consecutive years from 2004 to 2009 in developing new Party members by HCMC CPC. - A Labor Decoration - Second Class (2005) and a Labor Decoration - Third Class (2000) by the SRV President, a flag of merit entitled “Strong and Excellent Trade Union Unit” by Vietnam Education Trade Union and HCMC Labor Union for 12 consecutive years. - A flag of merit entitled “Strong and Excellent Unit” by HCMC Labor Union for 5 consecutive years. Constantly developing, constantly moving ahead together as a team to face numerous challenges since the time of establishment, we have been moving forward to international integration. With a generation of youth, energy, creativity and compassion for students, we are going to reach new high. For many years to come, HCMUTE will continue to embrace its stable development and remains the pride of all generations of its students and staff.